- We Manufacture Cruise Ship Model to our clients across country. These models are innovatively designed and manufactured by our experts after detailed research on the requirement. These models come in the small ship shape with the complete image structure of the ship deck and mountings etc. we also Manufacture these Models according to Client Demand. 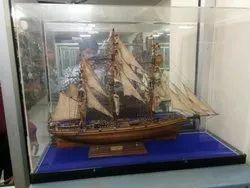 Banking on the skills of our qualified team of professionals, we are instrumental in offering supreme quality range of RC Ship Model. Beautiful handcrafted wooden ship with cloth sails, reminder of medieval ships. Length 23cm height is 21 cm. 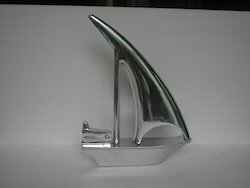 As a quality focused firm, we are engaged in offering a high quality range of Barge Ship Model.